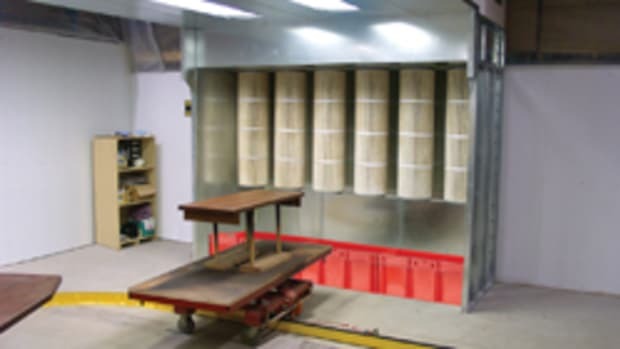 Collecting and eliminating dust is done for three main reasons: the health of those using the shop, the quality of the work, especially in terms of finishes, and the prevention of fire. There are other motivators too, such as the fact that clean spaces tend to be more efficient and more pleasant, or that machines run best without airborne contaminants gumming up the gears. The health issue is obvious. Ingesting fines over a long period of time can cause or aggravate a number of serious problems including nasal, throat or lung cancers, respiratory diseases such as asthma and emphysema, and chronic obstructive pulmonary disease (COPD). The relationship between airborne dust and the quality of work is also easy to grasp. For example, fine particles that settle on fresh topcoats are more than annoying: they’re expensive to repair. Dust accumulating around automated and even manual stops or other measurement or control devices can affect accuracy, and fine dust can elevate repair bills in sensitive machinery, especially computers and control panels. Then there’s fire. The dangers presented by layers of fine dust on top of lights, machine housings, furnaces and other heat generating objects are at the back of every woodshop owner’s mind, including the possibility of spontaneous combustion, flash explosions during a fire, and smoldering heat in a cabinet saw that erupts into flame in the middle of the night. The best way to control fine dust is to prevent both fine and coarse particles from escaping into the air. Collecting debris at the moment it is created has become a lot easier over the past few years. 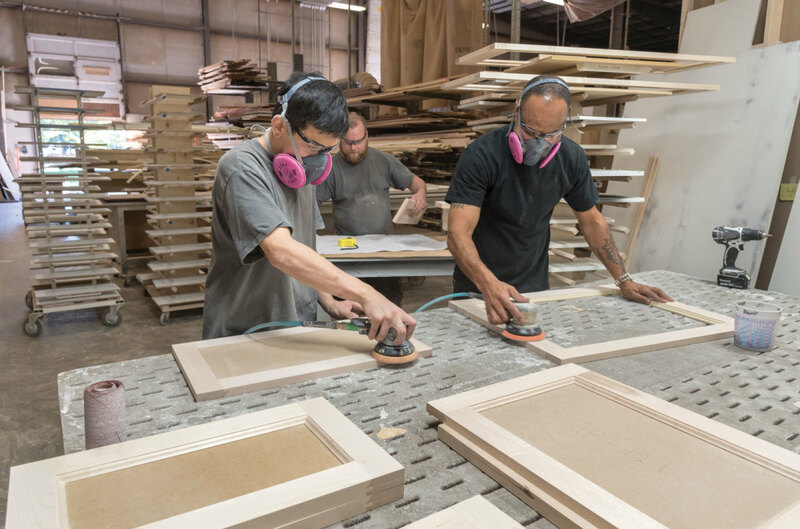 CNC manufacturers have led the charge, creating contained spaces within which the work is performed and the waste is managed. Portable tool manufacturers have greatly improved the ability to collect dust on hand-held tools such as sanders, routers and saws. And the dust collection units themselves have come a long way, both in terms of efficiency and also accessories such as automated blast gates and improved bag fabric and design. Harvesting dust at the tool. So, you’re standing in the middle of the shop and wondering how to assess whether you have a dust problem. Step One is to get out a ladder and take a peek at the tops of any ductwork (both dust collection and standard heating or cooling), and also the tops of hanging fluorescent lights or similar ceiling-hung appendages. Then follow Lauren Bacall’s advice to Bogey about whistling in To Have And Have Not: put your lips together and blow. If dust goes airborne, it is time to clean the entire shop and install measures that prevent further accumulation. Here’s the problem. Most “dust collectors”, especially for small shops, really don’t collect dust. They might be more accurately described as chip collectors. They rely on breathable filters (fabric bags that let air pass through) to collect those chips, but the holes in the bags are often so large that the real killers, the finest particles, can pass through. Another aspect of filters that the industry needs to explore in more detail, and report on more accurately, is caking. On the inside of a bag, fine dust will tend to cake on the walls of the fabric that’s being used as a filter. This physically gums up, and reduces, the size of the holes and the amount of air – and fine dust – that can pass through. Some manufacturers actually use this phenomenon to upgrade the verbal description that they use when selling a dust collector. They might claim the bag filters dust down to 1 micron, even though the holes in the fabric are, say, 20 microns in diameter. One industry definition of fine dust is “particles that are small and light enough to float in the indoor air”. You can see the largest of these in a ray of sunshine, but the ones that most adversely affect our health – those below about ten microns in diameter – are far too small to be readily visible. A micron, by the way, is also called a micrometer, which is a bit confusing as it’s the same name as a measuring device used by engineers and scientists. One micron (written as µm) equals 0.001 mm. A human hair is in the neighborhood of 50 microns in diameter, so one can imagine how small a 1-micron dust particle might be. 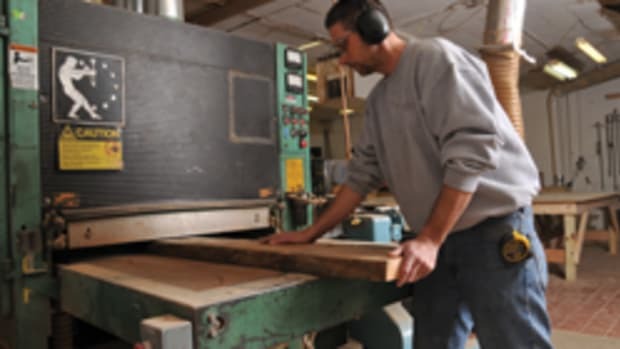 OSHA reports that studies on wood dust reveal that between 61 to 65 percent of particles measure between one and five microns in diameter (IARC 1995). Those are the little critters that can work their way deep into our nasal passages and lungs, and accumulate there to create obstacles that cause irritation. When the body responds and attempts to remove these foreign bodies, we often experience infection and other more serious reactions. And it’s not just size that matters. 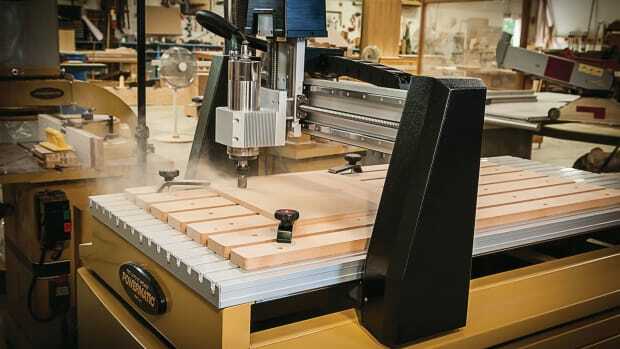 The particular wood species being machined or sanded is often a problem, too. For example, cedars can cause allergies, and most man-made materials have a long string of chemicals in their make-up, including potentially harmful ingredients such as formaldehyde. Clean the shop regularly, especially in those hard-to-access areas. 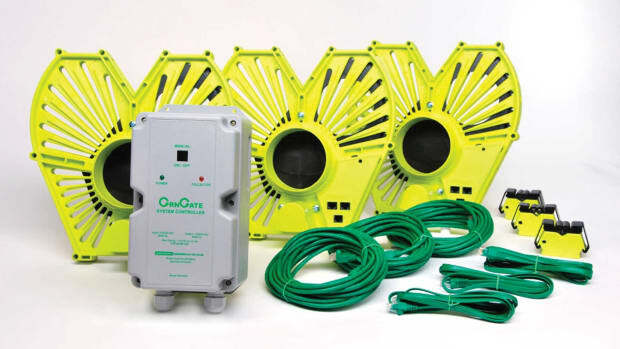 Then install some indoor air quality monitors to keep track of particle levels. Most manufacturers of these devices will be able to explain safe thresholds, and that’s important. If you don’t have a goal, you can’t meet it. Install mechanical filters to scrub the shop air. There are dozens of products on the market that combine a fan with filters and hang above workbenches in the shop. 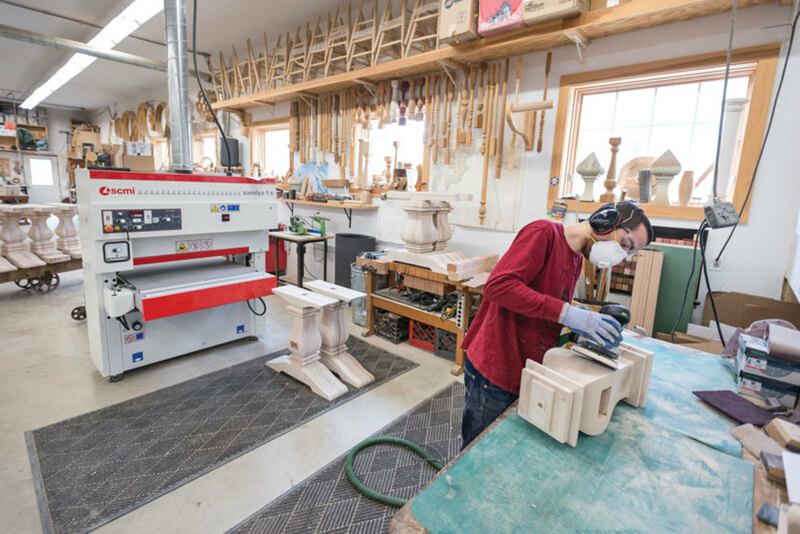 Even a shop-built one can be effective: there are several plans online for making one, using an old furnace fan and a series of three or four furnace filters. Harvest dust at the tool. 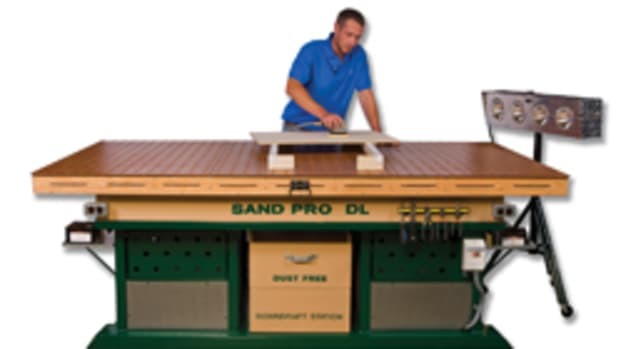 This begins with using a downdraft table for all activities that generate fines, such as sanding. The next step is to buy high-end tools that have built-in dust collection devices, or ports that allow a shop vacuum or even a central collector hose to be attached. Be aware that you generally get what you pay for here: a manufacturer that offers an integrated system which includes both a palm sander and a shop vacuum is going to have better engineering, and deliver significantly better results, than an inexpensive sander that relies on a tiny collection bag. A two-stage collector is more efficient at collecting fines than a single stage machine. That’s because the former uses cyclonic airflow to separate larger particles and evacuate them, before the fines ever reach the filter. This theoretically reduces the amount of material collecting on the inside of the filter, thus increasing airflow and filtration. On the subject of bags, don’t just accept the ones that came with a collector or even an entire bag system as being the ultimate solution. Aftermarket fabric bags can be ordered in custom shapes that will accommodate higher or lower ceilings, for example, and are often made with better fabric. Many suppliers of ductwork will offer system designing for free, or for a nominal fee. 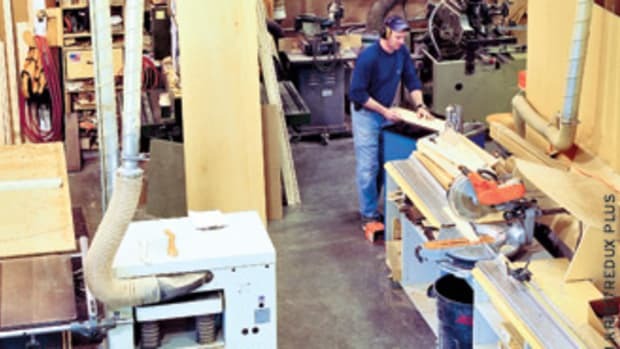 They will take into account the types and output of your machines, their locations (how long is the duct going to be), and the nature of the waste that the shop generates (softwood, MDF, laminates and so on). Then they will use apps and experience to size your collector and ductwork. They might also make some recommendations that improve efficiency, such as moving machines with the highest levels of waste as close as possible to the vacuum, or grouping activities and providing a dedicated collector for specific waste, and another for more general debris. How you dispose of collected dust and particles will play into this. Some shops use waste as fuel, while others sell it as animal bedding, or to an MDF factory. Some shops just send it to a landfill. Separating waste (perhaps by removing plastics from wood dust) can make it a lot easier to sell some of it as a by-product and re-coup the costs involved in collection, or at least meet local regulations for recycling. Use blast gates to ensure that the highest volume of air is being collected at each machine. Being human, it’s a good idea to install an automated system that opens only the gates at machines that are turned on and running. If the gates are all manual, we often forget to open or close them, thereby completely circumventing their purpose. We all have a tendency to say to ourselves that it is just one quick cut on the miter saw, and starting the vacuum isn’t worth the effort.